Asus has silently launched a recent addition to its Zenfone series, dubbed as Zenfone Ares. The phone has been launched in Taiwan, but without any event or press release. The highlight of the device is its focus on VR i.e. Visual Reality and AR i.e. Augmented Reality. Based on the features and specifications, it seems like the company has relaunched the Zenfone AR as Ares with a reduced price tag. And that could well be the reason behind the quiet launch. The Zenfone Ares is powered by a Snapdragon 821 CPU which is coupled with 8GB of RAM and 128GB of UFS 2.0 expandable storage. The hardware seems to be compatible with Google’s ARCore technology. The device runs Android Nougat operating system out of the box and is backed by a 3,300mAh battery with support for Quick Charge 3.0. For connectivity purpose, there’s USB-C port with Display Port support, dual-band Wi-Fi, and Bluetooth 4.2. The phone features a 5.7-inch Super AMOLED 2K display with a 1440 x 2560 resolution and 16:9 aspect ratio. The display comes with a Tru2life technology for improved outdoor visibility and oil-repellent coating. It also has Corning Gorilla 4 for added protection against scratches. In the camera department, there’s a 23MP rear sensor with high-res PixelMaster 3.0 lens, f/2.0 aperture and additional depth and motion sensors. On the front, you have an 8MP camera for selfies and video calls. 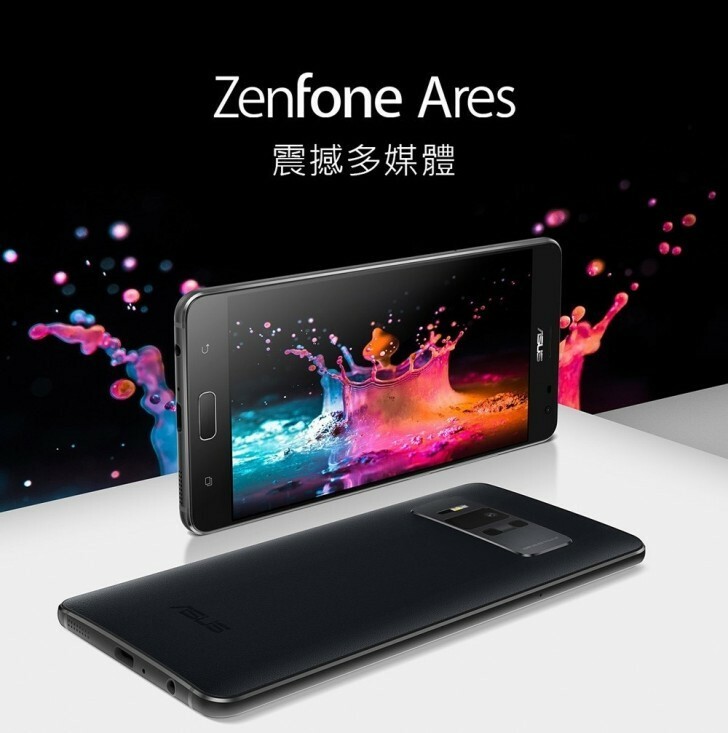 The Zenfone Ares is limited to Taiwanese market as of now and can be bought from local retailers at a starting price of TWD 9,999 (roughly USD 330 and INR 23,000). There is no word yet on the launch of the phone in other markets including India.